Daniel, on the left, is giving a mineral supplement… so the girls are getting the right balance of nutrients… Brandon is worming them, because cows eat grass where things have pooped and ingest worms which grow and then are pooped out for other things to graze and get worms… Yeah, animals can be gross! 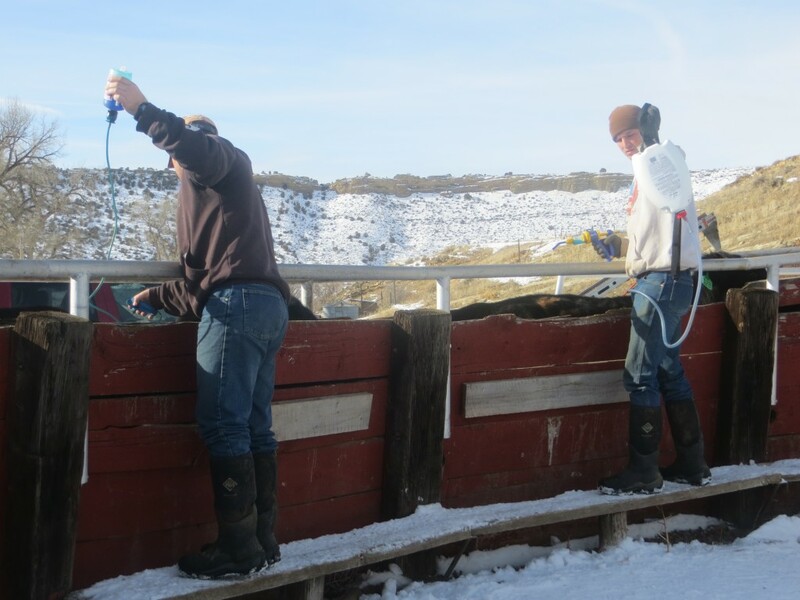 Then they also received a shot to help prevent scours in their calves. Scours is severe diarrhea brought on by clostridium perfringens, which although it occurs naturally in the gut of cattle and elsewhere, it can get “unbalanced” due to the calves’ immature rumen. They then get enterotoxemia from this rapidly multiplying bacteria. Death can sometimes happen within a couple of hours. It’s good to vaccinate against THAT. There are no guarantees though. We dropped them where the guys had previously pitched some hay. Please comment to enter to win a Red Dirt calendar. Ends January 21st. You may enter once a day. 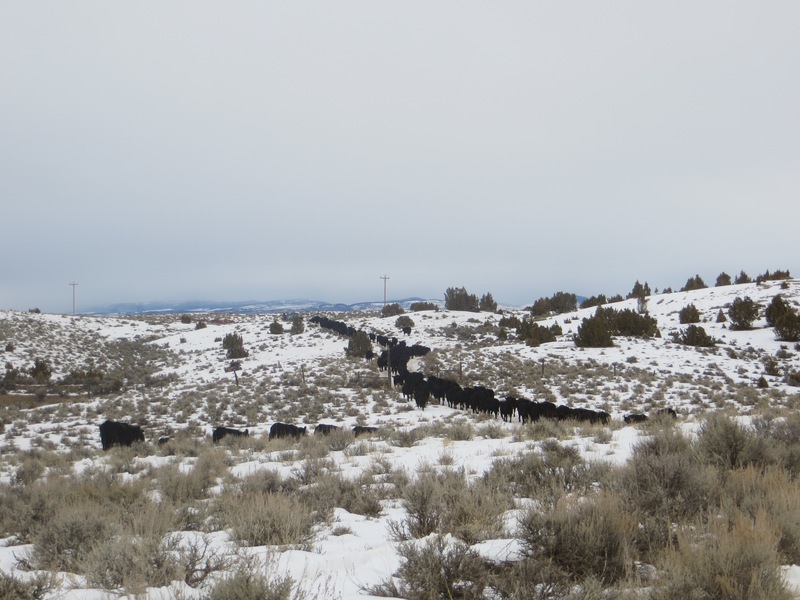 Raising cattle is a big on-going job! It will be interesting to see if your replies grow smaller after the 21st — tomorrow! 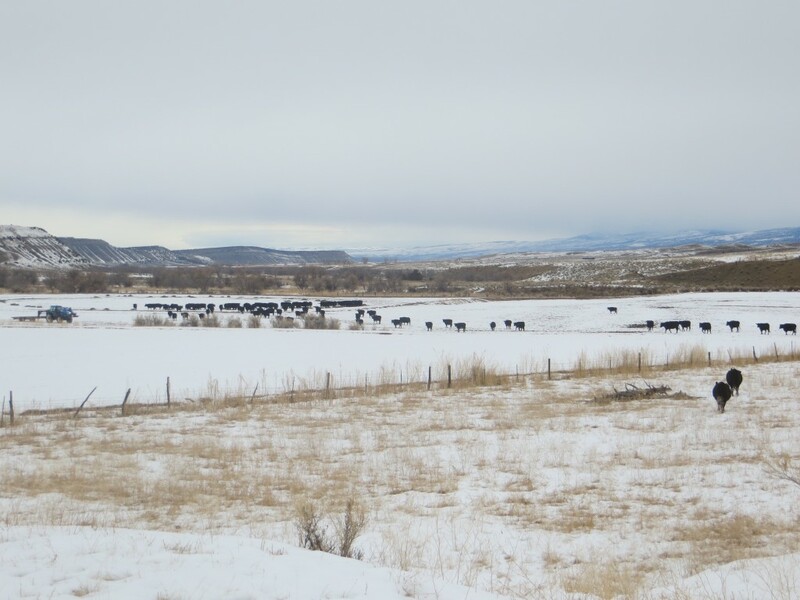 It is so interesting and amazing for me to learn about all of the hard work, care and experience that goes into raising your crop of great beef for our tables! It makes me appreciate so much more a good steak, or a great green chile cheeseburger! Yum, thank you guys! I am enjoying this year’s calendar – it’s hanging proudly in my kitchen to give my day a “Rim Rock Start”. Already have one of your 2016 calendars. Thanks for the offer to enter your calendar contest. I so enjoy reading your comments and seeing your pictures. Thank you. No heavy coats today? I think your cold is headed east! I hated and feared scours as a kid, because it was so easy to lose a calf to it. I didn’t know there was a shot to help it. Great photos . Glad all the cow work went well. Work with animals just never ends, does it!